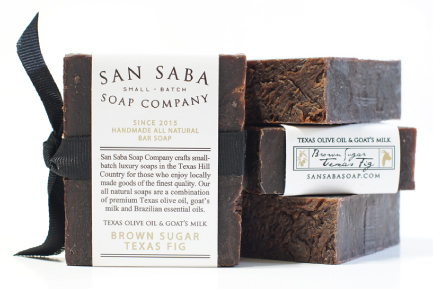 We’re very honored to showcase this iconic family owned company on our Made in Texas page! 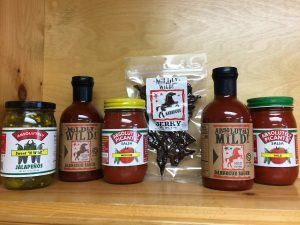 Featuring a line of barbecue sauces, picante salsa, beef jerky, and “Sweet ‘N Wild” Jalapenos, the company uses only the freshest ingredients to ensure an absolutely unforgettable taste. 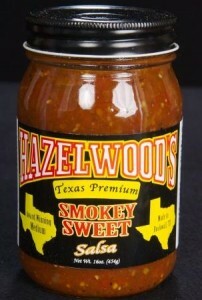 Available in three varieties, Absolutely World Class barbecue sauces are a long time customer favorite. Whether your taste buds favor a mild or spicy BBQ experience, they’ve got you covered! Finally, if you or anyone on your Texas gift list is a beef jerky fan, check out the three varieties of beef jerky, each marinated in a different Absolutely World Class barbecue sauce. We’re especially drawn to the “Sweet ‘N Wild” Beef Jerky, accented by a touch of honey for a special sweet and spicy flavor. Click through to learn more and place your order. You can’t get any better than Absolutely World Class! 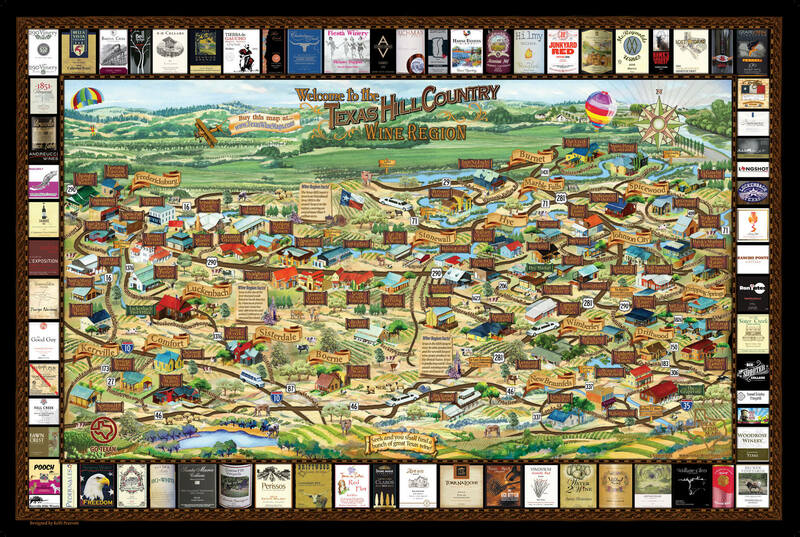 Texas Wine Maps & Gifts: When you think of The Lone Star State, a number of Texas traditions come to mind … barbecue, football, great music, and beautiful scenery just to name a few. But how about wine? Texas actually has a thriving (and quite well respected) local wine industry. Wineries can be found all across the state, with a particular foothold in Texas Hill Country, where the climate and terrain is exceptionally conducive to growing wine grapes. 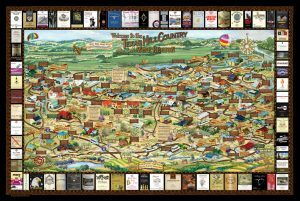 At the Texas Wine Maps & Gifts online store you’ll find many other Texas and wine themed gifts, like apparel, jewelry, home decor, and much more. 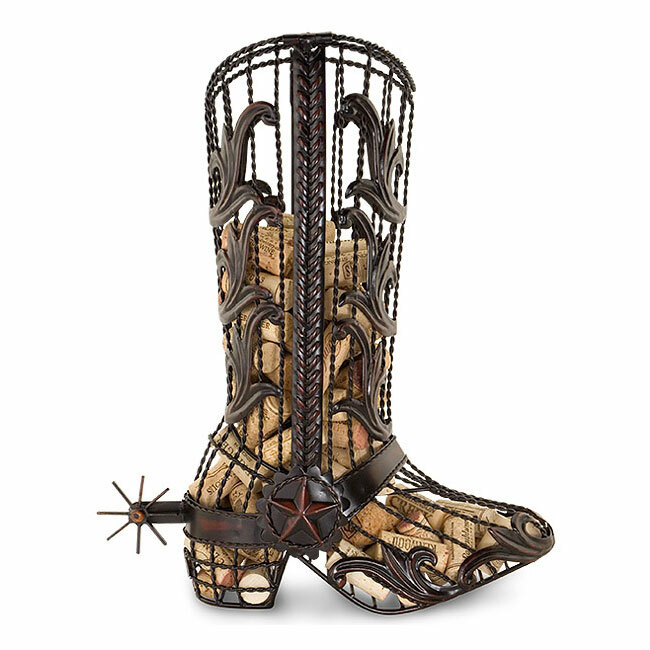 We particularly like this very cool cowboy boot wine cork cage … a great way to showcase your Texas wine pride! We love family owned local businesses like Texas Wine Maps & Gifts that showcase the best of The Lone Star State. Click through and shop online! In addition to their attractive soaps, San Saba Soap Company offers Heirloom Body & Hand Oil as well as Heirloom Face & Beard Oil. These premium soothing oils not only soften and protect your hands and face, they’re pleasantly aromatic and ultra hydrating – perfect for those on your gift list any time of year. Since 1930, Walker Honey Farm has produced a unique array of raw natural honey – visit their website and you’ll see such varieties as Clover, Pecan Honeydew, Mesquite, Alfalfa, Orange Blossom, Christmas Berry, and more. Based in central Texas between Waco and Austin, the Honey Farm’s bees have an expansive selection of flower and plant varieties to pollinate! The Farm also produces related goods like honey based soap, candles, and health & beauty aids. You can select from their many specialty foods too, like honey nut butters, syrups, honey jerky, honey candy, and others. 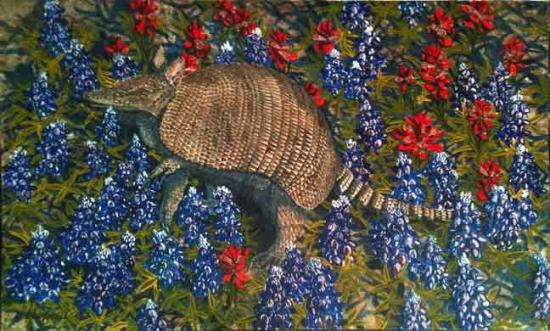 All are available directly at their website – great gift ideas made in central Texas! 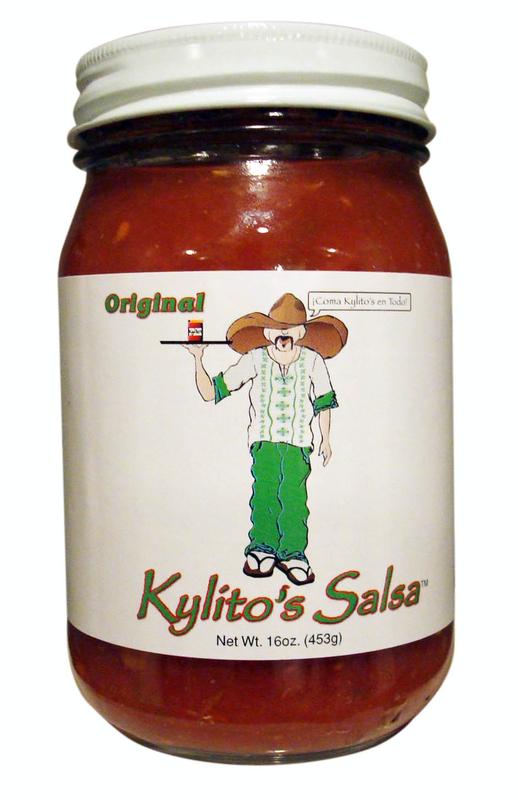 Mateo’s Gourmet Salsa: Frisco, TX is just north of Dallas, and it’s the home of a salsa and related products company owned by Andrew Robbins, who grew up loving authentic Mexican style dishes. Unable to locate a natural ingredient salsa as good as his dad’s, he brought the recipe to market – it’s now on retail shelves all over the Dallas-Fort Worth market and beyond. This salsa is great – give it a try! Jolly Jack’s Hot Sauce: We stumbled across this Texas made hot sauce quite by accident. It’s made by the folks who run the Sea Island Shrimp House restaurants in the San Antonio area. Being hot sauce fans, we tried some of the Jolly Jack’s Hot Sauce on our order of shrimp and loved it! We were glad to see you can order it online from their site, along with a few of their signature spice blends, Shrimp House Ketchup, and logo swag. If you like a tasty hot sauce that complements but doesn’t overwhelm your seafood, try Jolly Jack’s. Great on omelets and scrambled eggs too! 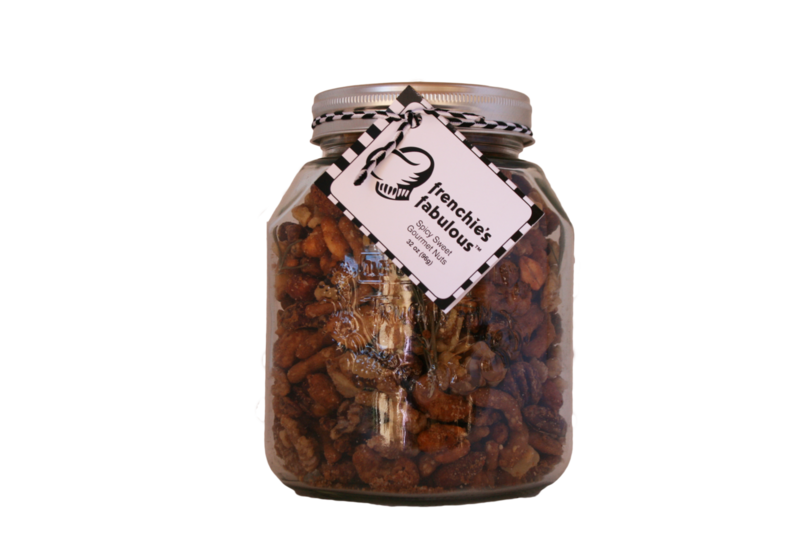 Frenchie’s Fabulous Nut Company: This suburban Dallas family run operation produces a sweet and spicy buttery nut mix that has people talking … we found some in a Dallas area wine store a while back and we haven’t been able to stop talking about it either! 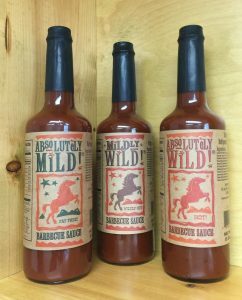 The family owned and operated business turns out three varieties … Original, Honey, and Raspberry Barbecue Sauces. We tried the original and loved it – bold, a little spicy (but not too much), with a satisfying tang and aftertaste. We don’t have a whole bunch more information about the product other than we found it at a local store in Waxahachie and there’s a short list of stores that carry the products at the Four Escobars website. It’s also available for purchase online – go to the “Product” tab on the site and you’ll see a link for HEB Markets … click on that and you’ll be taken to a page where you can order. It’s Texas and it’s barbecue – it’s gotta be good and it is! 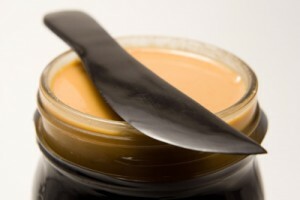 We wanted to spotlight them here on our Made in Texas page for their absolutely fantastic peanut butter. If you’re a peanut butter fan, try Squirrel Brand peanut butter – we’re confident you’ll think it’s one of the best you’ve ever tried! This gourmet creation is all natural, vegan, and gluten free. Even if none of that matters to you, here’s one thing that will – it tastes great! The peanuts are ground with an antique mill and the texture is a cross between creamy and crunchy … creamy and crunchy fans alike will be satisfied! 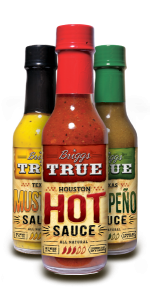 Briggs True Texas Sauces & Seasonings: The brainchild of Michael Briggs, this vibrant company really personifies The Lone Star State … it’s bold, down to earth, and offers something for everyone! For something to get your tongue wagging, check out their Houston Hot Sauce, a lively beauty made from fire roasted chiles and selected spices – it’s dynamite on scrambled eggs or in a Bloody Mary! 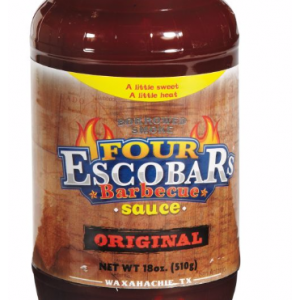 Also acquaint yourself with their Mustard Sauce (try it with shrimp) and Jalapeno Sauce, perfect to liven up any southwestern specialty. 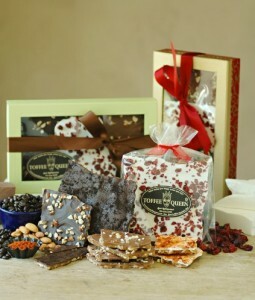 Check out some of Texas Toffee Queen’s other varieties if you’re craving something traditional – this growing small company has garnered accolades at the National Zest Fest and were also a “Quest For Texas Best” Finalist. With flavors like White Chocolate Peppermint, Dark Chocolate Espresso, and White Chocolate Cranberry (among others), it’s easy to see why the positive press keeps rolling in! Click through to the Texas Toffee Queen site to discover all the delectable toffee they’re creating just for you. 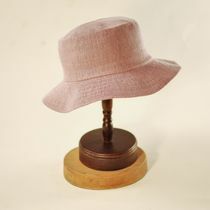 You can order right at their online store or contact Nancy directly for special orders. Proudly Made in The Lone Star State! Visit the Sweet Heat website to see all the varieties currently available. 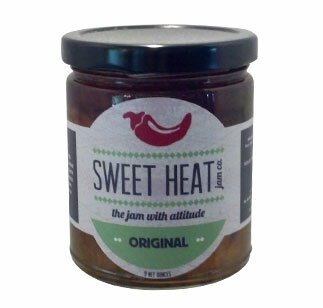 There are ten different types, starting with the Sweet heat Original jam. This tasty concoction is made with entire jalapeno peppers (seeds and all) which gives it a full, rich, and unique flavor. For a real Texas treat, order yourself some Blue heat, made with locally grown blueberries and jalapeno peppers. From lower heat to higher heat, you’re sure to find a Sweet Heat jam that strikes your fancy. Use them in appetizer recipes for something a little different! Clint’s Salsa & Sauces: You may have seen this San Antonio based company’s products in the salsa section of your local grocer – they’re probably most famous for their signature Clint’s Medium Salsa, their most popular offering. But did a little deeper, because Clint’s not only makes some of the best Texas salsa you’ll find, but they do an outstanding job with barbecue sauces too! We discovered Clint’s lesser known salsas and sauces on a recent visit to The Lone Star State. On the salsa side, check out their Chipotle and Roasted Serrano varieties – both with a medium heat level and all kinds of flavorful! But we want to specifically talk about Clint’s BBQ sauces. Three varieties are available, starting with Clint’s Original and Moppin’ Sauce, both featuring the flavors of roasted serrano peppers. If you like a little heat, opt for Spicy Original and be prepared to order a case – it’s that good! You can order any of Clint’s salsa and sauces at their website if your local store doesn’t carry their whole product line. For a great gift, check out the Texas Salsa Sampler, a convenient three pack anyone on your list will appreciate, especially those salsa lovers! We later used it for some flank steak, a traditionally chewy cut of meat we like to use for tacos and fajitas. Two hours of marinading did the trick! If you like marinades with an Italian dressing flavor, try this one, we loved it! You can order either of the products in half or full case lots directly at the Reeds Dressing website. 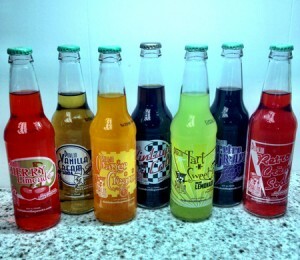 Great flavors from the Panhandle! Zukali Mexican Gourmet: Owner and founder Cesar Sanchez started his company with small beginnings and a passion for preparing roasted peppers and salsa for his friends and families. 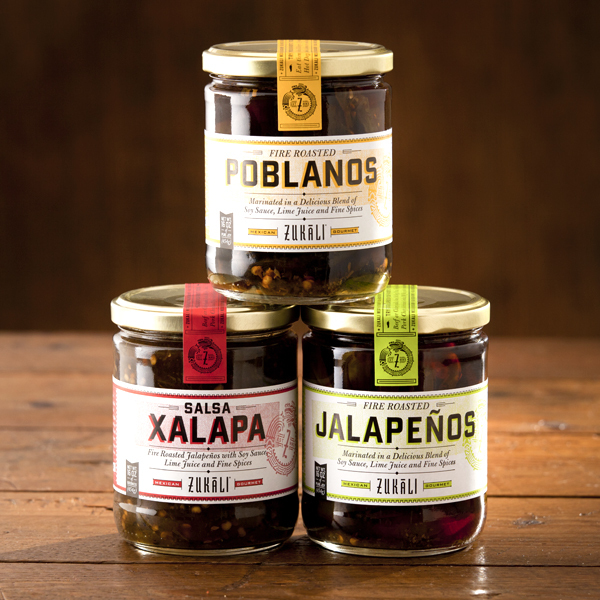 After perfecting a recipe for fire roasted jalapenos, he received so many compliments and encouragement that he decide to start his Plano based company, Zukali Mexican Gourmet. One of the flavors you’d be hard pressed to find anywhere else is called Pasaporte Peru Aji Salsa, which featured the Aji pepper commonly found in Peru. The pepper offers a smoky, slightly sweet flavor that pairs well with any chicken or pork dish (think pork enchiladas!). Another is Pasaporte Brazil Samba Salsa which features guava fruit – definitely not your run of the mill salsas and Made in America with a worldly culinary flair! 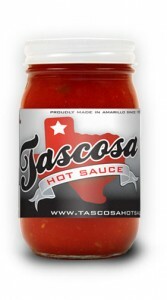 Tascosa Hot Sauce: We love nosing around local grocery stores when we travel. You can find all sorts of interesting food specialties you can’t get at home – every time we visit another state a couple of grocery stores are always on our to do list! Might not sound glamorous, but fun is where you find it, right?? On a recent visit to Texas we were doing just that – exploring a grocery store near Amarillo. Sure enough we found a product we’d never seen before – Tascosa Hot Sauce. Wow is it good! It’s made by a local company of the same name that’s been around in one form or another for well over 50 years that now solely concentrates on their sauces, which are available in Original, Mild, and Hot. We’d describe it more like a salsa than a hot sauce, but no matter, you can use it just as you would any other hot sauce (or salsa). 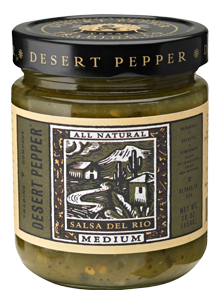 It’s bursting with fresh tomato and pepper flavor, perfect on tacos or enchiladas or simply with tortilla chips. And we’ll add Amarillo is a really cool town with very nice locals! When a few of them found out about State Gifts USA, they were overflowing with recommendations! You can order Tascosa Hot Sauce directly at their website – opt for the Mixed case so you can enjoy them all! Of course, the natural output from these plump, ripe olives is a series of olive oils, both Extra Virgin and flavored. The Ranch also produces a line of balsamic vinegars, and all their products can be purchased directly from their online store. We are fans of their Rattlesnake Cracked Pepper & Chipotle Olive Oil, so named because it offers a bit of a bite. The oil is infused with chipotle chiles and cracked pepper to make an ideal dipping oil for crusty bread. You can also use it in your favorite recipes! 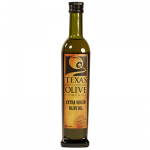 Another of their uniquely Texas products is the Rio Orange Olive Oil. Arbequina oil is infused with oranges grown in the Rio Grande Valley (yes, oranges thrive here too!) and it’s quite a taste treat. 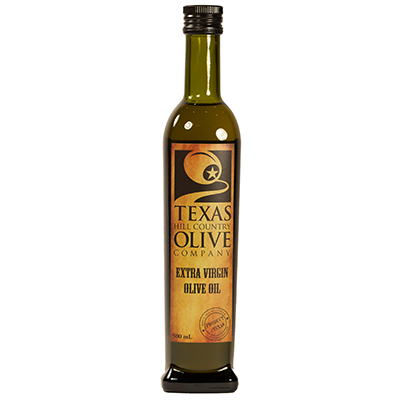 If you’re looking for a gift for that culinary type on your list from The Lone Star State, click through to the Texas Olive Ranch site … they’ll ship directly to your door! 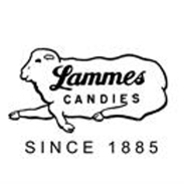 Lammes Candies traditional lamb logo, pictured, was developed so the general public know how to pronounce the Lamme family name. It has been a familiar site to Austinites for generations – especially at gift giving occasions. All of their candy gifts are wrapped in seasonal paper and personalized for your gift recipient at no charge – a nice touch! In addition to their outstanding pralines, you’ll also find another specialty creation called Longhorns, which are Texas grown pecans clustered in caramel and milk chocolate. 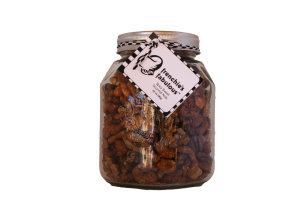 It has always been the Lammes tradition to use only Texas grown pecans, so if you’re looking for a Texas themed gift, you’ve found one! 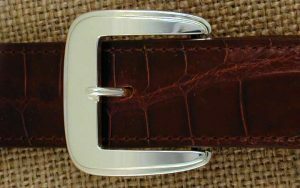 You can browse their catalog online and order any of their products for yourself or someone special. Order from Lammes Candies and be a part of Austin tradition! A true Texas steakhouse, Perini Ranch has the feel of an old time western movie setting. Winner of a James Beard Foundation “America’s Classics” award, the restaurant was established in an old hay barn on the ranch property by founder Tom Perini. The casual welcoming setting reminds one of a roadhouse where you’d expect to find great food, cold beer, and warm community hospitality. It delivers on all three! Perini Ranch Steahouse has been praised by several prominent publications like Texas Monthly, Food Network Magazine, and now StateGiftsUSA.com. Their menu captures the spirit of The Lone Star State, with grilled ribeyes, strip steaks, and hefty burgers leading the way. They’re grilled over mesquite wood, a tree common to Texas. When you eat here, don’t pass up the garlic potatoes or the whiskey flavored bread pudding for dessert! 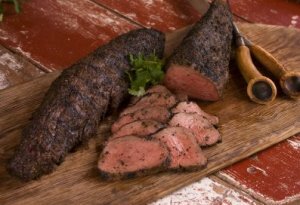 The steakhouse is probably best known for their mesquite peppered beef tenderloin, a veritable masterpiece of grilled meat. So tender that it can practically be cut with a fork, it’s magnificent in its simplicity. The beef tenderloin became so popular that it’s now shipped across the country to Perini Ranch fans everywhere. Each tenderloin weighs in at a hefty 2 1/2 pounds or so and can comfortably feed six. It’s also an ideal appetizer served with your favorite horseradish sauce! Perhaps the Cowgirl’s signature products are their Slow Cooker Sauces. Designed to be used in your slow cooker or crock pot, these sauces take the complicated out of creating a delicious, satisfying meal. Texas Brisket Sauce includes tomatoes, onions, and a Texas style spicy kick and all you add is meat. Campfire Chicken Sauce is ideal for making chicken burritos or enchiladas, while Roadhouse Ribs Sauce has a bit of citrus which pairs perfectly with pork, beef, and chicken. Convenient and all natural! 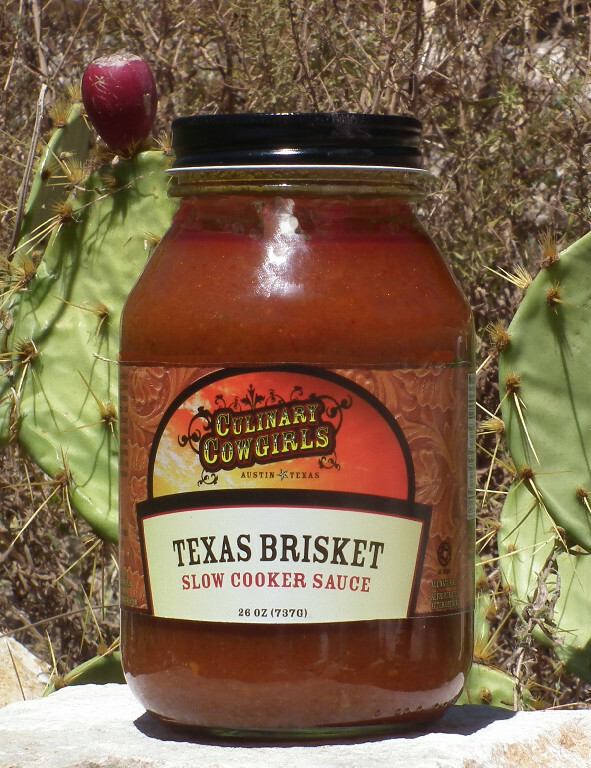 Salsa, spices, barbecue sauces, and pasta sauces round out the Culinary Cowgirls product line. You’ll find them in locations all over the Lone Star State as well as selected stores in Oklahoma, Louisiana, and at the Whole Foods in Little Rock. For easier shopping, visit their Online Store where you can see all their products and full descriptions. Enjoy a great taste of Texas! These marshmallows are hand cut into 1 1/2 inch cubes and they’re gluten free. Perfect for kids parties, or any party actually, they’re the perfect antidote for run of the mill dips and desserts. 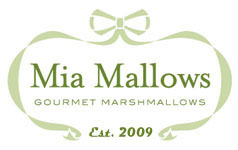 Visit the Mia Mallows site to order and see all the cool flavors they’re creating! 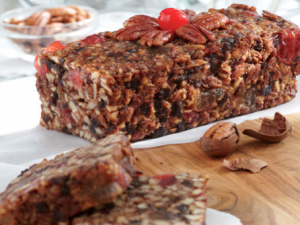 Baking and snacking pecans are both available from their online store, as well as southern pecan pies and an excellent pecan brittle. Gift tins like the one shown are popular anytime-of-year gifts too! For some nice add on’s, Alamo Pecan and Coffee also carry a variety of pickled products like asparagus, okra, dilled green beans, candied jalapenos, and more. See their website for all your gift giving options! Their flavored sea salts, which have gained notice from local publications, aren’t made with evaporated sea water from the Gulf of Mexico. They’re actually harvested from centuries old protected mines near Galveston Bay and offer a unique color – the salt crystals are a light lavender gray. Owner Stephanie McClenny blends the harvested salt with organic flavorings to create varieties like Orange Chile, Valley Lemon, and their signature Cowgirl Salt made with lemon and pink peppercorn. The flavorings are picked just days before jars are sold, so the salt is exceptionally fresh and vibrant. 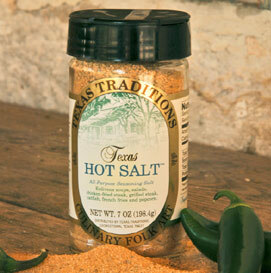 Just a small pinch is ample to season fish, chicken, salads, or anything on your dinner plate. Confituras jams are sold on their website; contact the company directly to inquire about buying the sea salt. Great gifts from Texas! 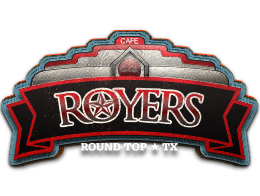 For a lasting impression, Royers Round Top Cafe also offers three monthly plans – three month, six month, and a twelve month pie of the month gift. 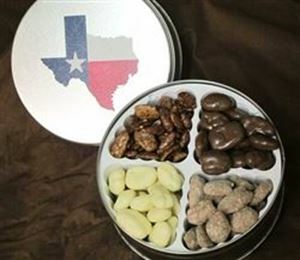 A different variety is shipped around the middle of the month – a great gift idea from The Lone Star State! If you’re a fan of fruit forward hot sauces like we are, give these three a try! 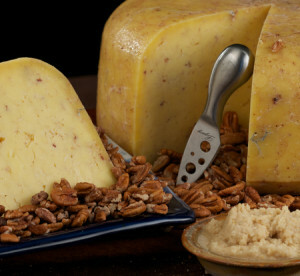 One of their many intriguing products is their Horseradish Pecan Cheddar, pictured. This white cheddar cheese is made with roasted Texas pecans and zesty horseradish. Enjoy a slice on your deli sandwich and you won’t want or need any other condiments! Brazos Valley Cheese also makes smoked gouda, brie, and more. Assortment packs are available directly from their website – enjoy the fresh taste of the Brazos River Valley! Another great Desert Pepper product to try is their Honey Pecan Barbecue Sauce. Pecans, of course, are a prominent Texas crop, and this sauce offers a sweet heat complemented by a rich pecan flavor. We’ve actually used it in stir fry dishes – it adds a welcome diversity to traditional Asian style sauces. Their online store features apple and pecan specialty pies, as well as gift baskets, homemade jams, jellies, and syrups, and breakfast mixes. Be sure to try the apple cherry jam – it’s fantastic! 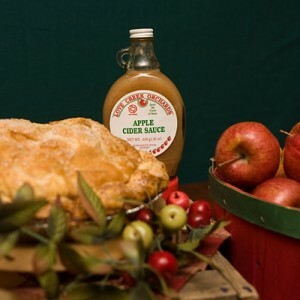 If you’re looking for a gift from Texas beyond the usual barbecue, check out the Love Creek Orchards website … their gift boxes are an excellent all in one idea! Anyone visiting Austin should carve out the time to come on by. But Salt Lick BBQ fortunately offers a solution for folks who can’t get to the Lone Star State – online ordering. Sauce, salsa, and dry rub gift packages are available, along with brisket, pork and beef ribs, Hill Country smoked sausage, and more. Yup, my mouth is watering just thinking about it! 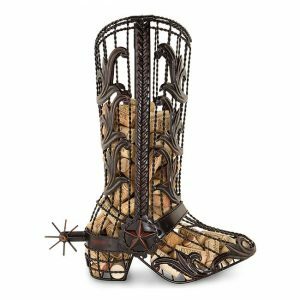 Want an iconic gift from Texas? 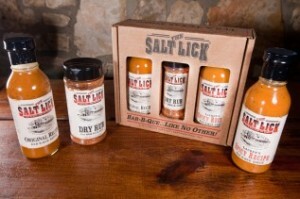 Visit Salt Lick’s website and you’re well on your way! It looked like a great place for barbecue … a big silver trough filled with ice cold pop and beer and tender moist brisket served with a half loaf of sliced white bread. No frills … no problem! I’m not sure if the Leon Springs location was Rudy’s first, but since then they’ve expanded not only in San Antonio but across Texas and surrounding states. My dad and I enjoyed a visit to a new Rudy’s location in Chandler, AZ not long ago. The brisket is better than ever and you can still grab a bottle of beer from a big silver trough! 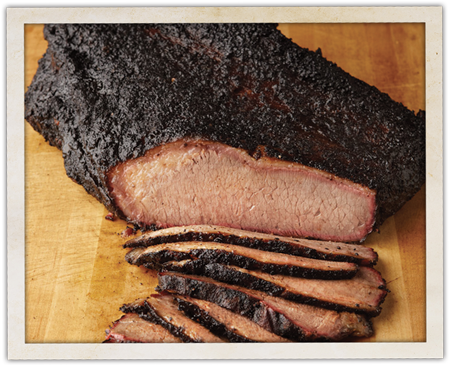 Being Texas barbecue, Rudy’s is renowned for their brisket. Of course, they also serve smoked sausage, turkey, pulled chicken, pork loin, and ribs. Best of all, even if you don’t live in or near Texas, you can order Rudy’s to be shipped wherever you are. Brisket, smoked sausage, ribs, and more are available directly from Rudy’s BBQ online store. Free shipping on meat orders of $125 or more! 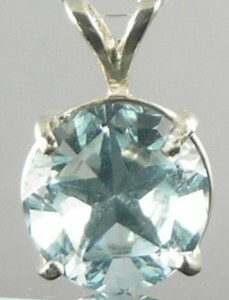 Probably the best place to buy Texas Blue Topaz Jewelry is from Lone Star Jewelry in Austin. As the name implies, Lone Star Jewelry specializes in rings, pendants, earrings, and other jewelry with a Texas feel. There’s nothing more Texas than Blue Topaz! Austin artist Sandy Talen creates attractive Texas Topaz jewelry from stones mined in state. She creates rings for both men and women, wire pendants, Blue Topaz earrings, and bracelets. Sandy also specializes in birthstone jewelry … there’s a special piece of jewelry for everyone here! 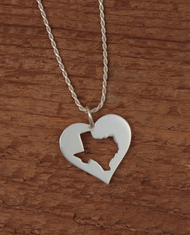 Click on the link above to see all the selections from Lone Star Jewelry, and own a little piece of Texas! 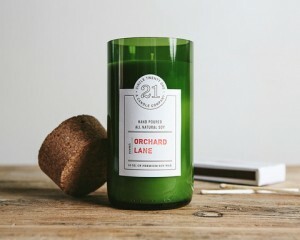 You can buy these candles at the Circle 21 website … what a good looking and practical gift from Amarillo! If you’re ever in Austin, check out their original location on Sixth, but if not, drop by their website and do your shopping there! 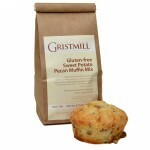 Check their online store for all the Homestead Gristmill products … two which are especially fun to make (and delicious to eat) are the Sweet Potato Muffin Mix and the Cinnamon Streusel Muffin Mix. Combine them with a few of their other products for a great gift from the Lone Star State! Gourmet Texas Pasta: If you’re a fan of pasta but don’t like that “overstuffed” feeling when you eat the traditional style, we recommend you try whole wheat pasta. Specifically, the 100% Durum Wheat Pasta made by Austin’s Gourmet Texas Pasta. This pasta doesn’t need a bunch of sauce slathered on top to be really good … it’s made with fresh vegetables for flavoring, a few spices, fresh herbs, and a little olive oil. Eat and enjoy it on its own, or add a bit of sauteed fresh vegetables, chicken breast, and grated cheese for a satisfying pasta dinner! Combo packs and gift sets are available for purchase at their website … you can even join the Texas Hill Country Olive Company olive oil club or adopt an olive tree! Black’s BBQ: How many times have you watched one of those Food Network shows about great barbecue and wish you could enjoy some without having to travel? Well now you can enjoy authentic Texas barbecue delivered right to your door from legendary Black’s BBQ who’ve been doing barbecue right since 1932 in Lockhart, TX. Black’s will ship you (or a gift recipient) any type of their delicious barbecue overnight for you to enjoy at home. 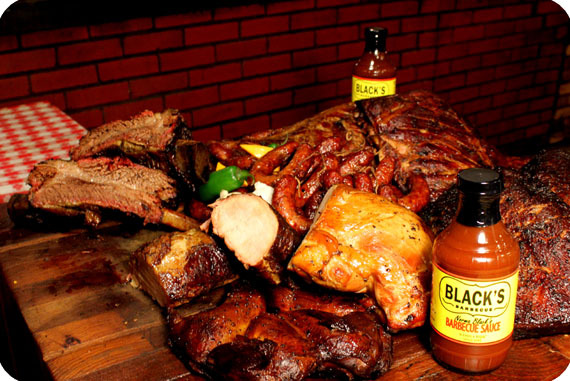 Black’s makes everything you might want to satisfy your craving, from Texas beef brisket to perfectly smoked sausages to chicken, ribs, and turkey. And Black’s BBQ is actually one of the renowned Texas BBQ restaurants that have been featured on the Food Network! 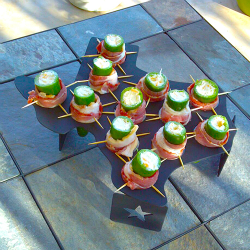 What a great gift for someone who is craving a taste of The Lone Star State! Digital prints are made in extremely limited quantities of 50 or less and personally signed by Brad. Brad was born in Abilene and now makes his home in San Antonio. 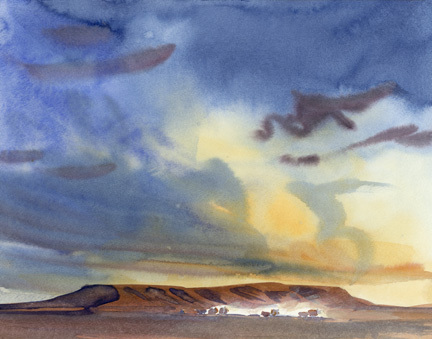 He was professionally trained as an architect and now teaches art and paints full time. The company, based in Rockwall, TX makes four different flavors, from mild to hot, so if you like salsa at either end of the heat spectrum, they’ve got one for you! Granddaddy’s Sweet Southern Heat Hot Sauce: This Midland, TX based company makes an all purpose sauce called Granddaddy’s Sweet Southern Heat Hot Sauce. It’s best described as a combination Tennessee hot sauce mixed with a Texas barbecue sauce, and it can be used for dipping, grilling, basting, or marinating … the sauce is ready to use right out of the jar! They make five different heat levels of their salsa (the Kylito’s Original is pictured), ranging from Gentle, Original, Roasted, Hot, and Scorching. 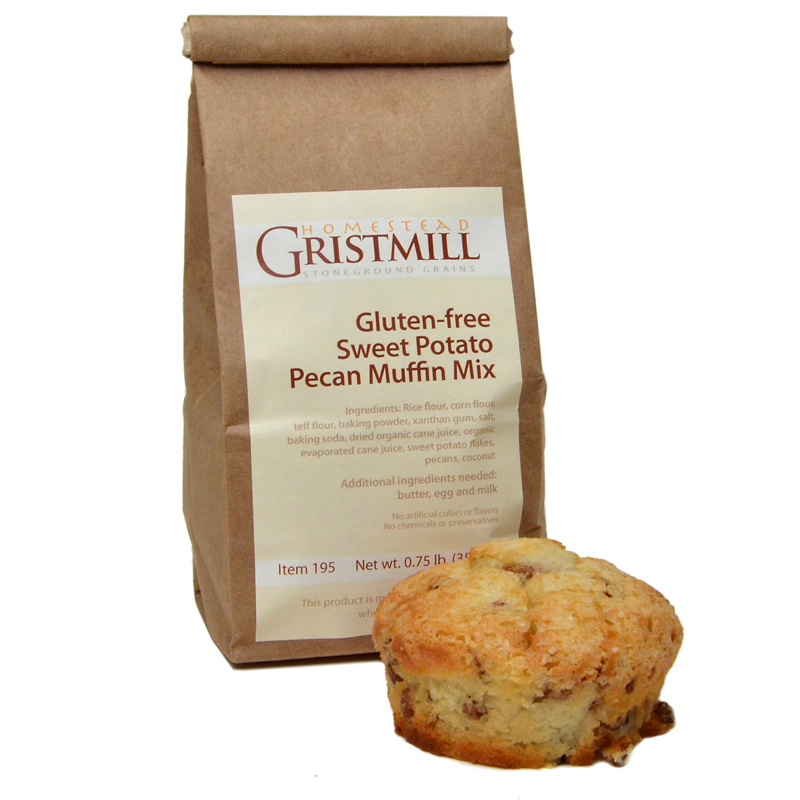 We’ve tried the Original … loved it … add it to an omelet for a breakfast eye opener! Klein Brothers Texas Foods: Klein’s Fine Foods of Tomball, TX has a great slogan: “Made in Texas By Texans Who Love Texas” … now that about covers it, doesn’t it? 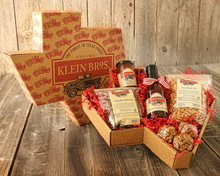 Pictured is the Lone Star State Gift Box, which includes several of their products, and it’s one of the smaller gift packages Klein’s offers! 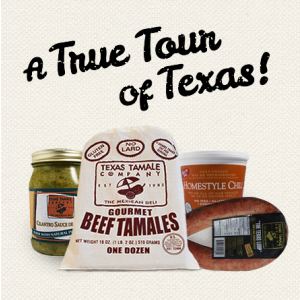 We’ll Have Many More Texas Made Products To Come … Tell Us About Your Favorites By Reaching Out On Our Contact Us Page! 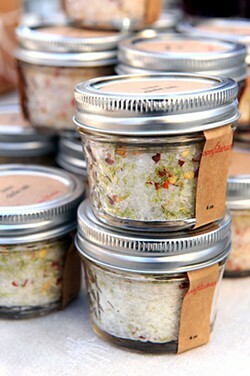 We are happy that State Gifts has chosen our cheese as a featured item on their site. We would like to invite anyone who is in our area to visit our farm and craft village. Here is a link to find out more.